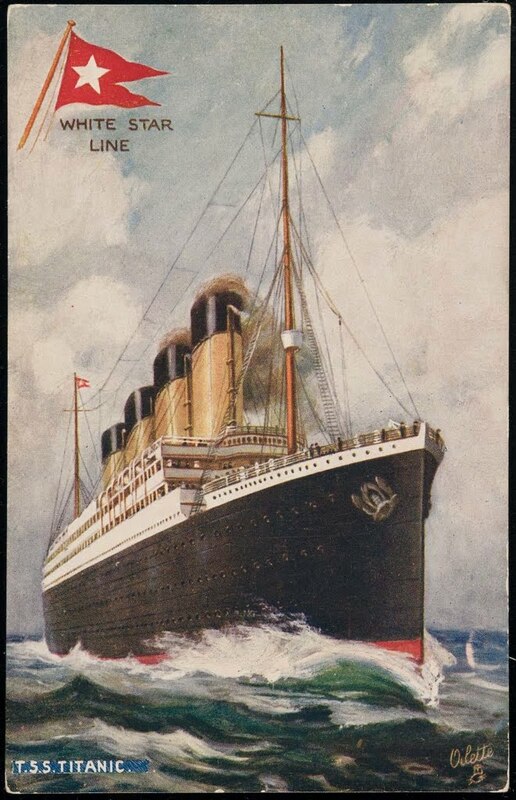 Titanic is a wonder of marine engineering, but the public is amazed by something else... Luxury! 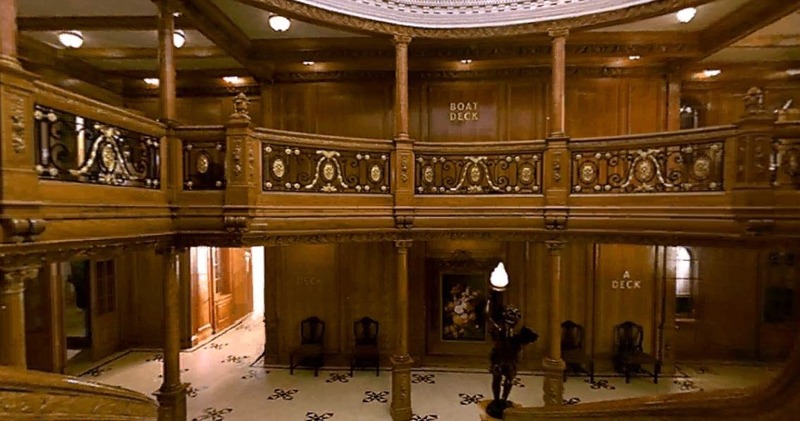 The centerpiece of Titanic was the Grand Staircase with its graceful sweep of paneled and carved oak surfaces, accented with wrought iron and polished brass. Behind it were three elevators for those that chose to ride. 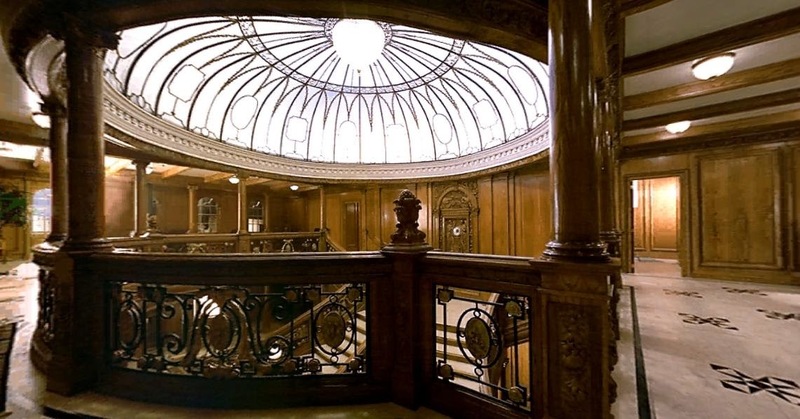 The staircase spans six decks and is topped with a dome of white glass and wrought iron. The dome let in natural sunlight during the day, and was lit up by electric lights that were hidden behind the wooden molding at night. Giving off a constant white glow no matter what time of day. At the center of the dome hung a large gilt metal framed chandelier with glass-bead panels and cut glass. On the wall at the top of the stairs, was a carved oak clock depicting two figures known as "Honor and Glory Crowning Time". 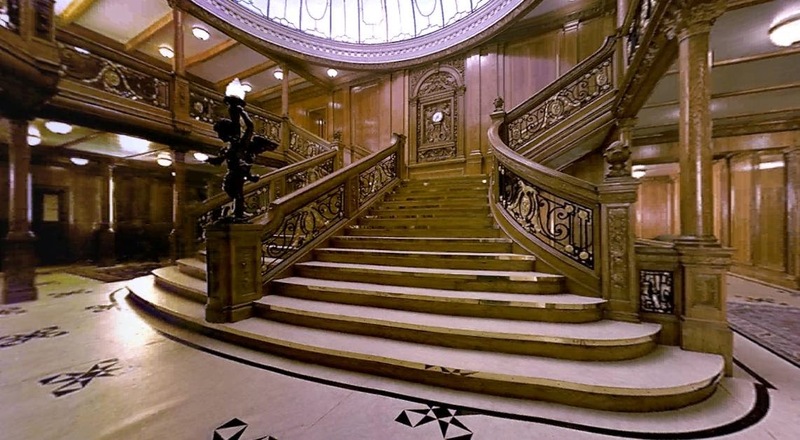 The stairs were slender at the top, but fanned out wider at the landing of each deck. The landings and hallways were lit up by crystal ceiling fixtures and had white and black tiled floors. 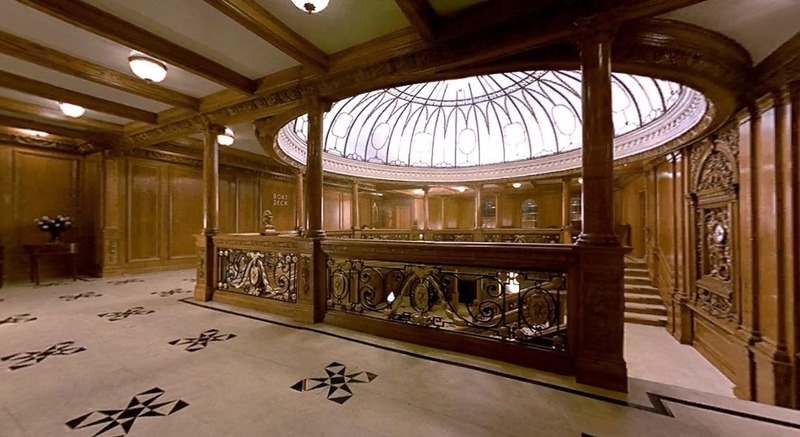 The staircase started at the boat deck and descended through A, B, and C decks, down to the First Class Reception Room on D deck and then ended at E deck. All together it was a wondrous achievement. 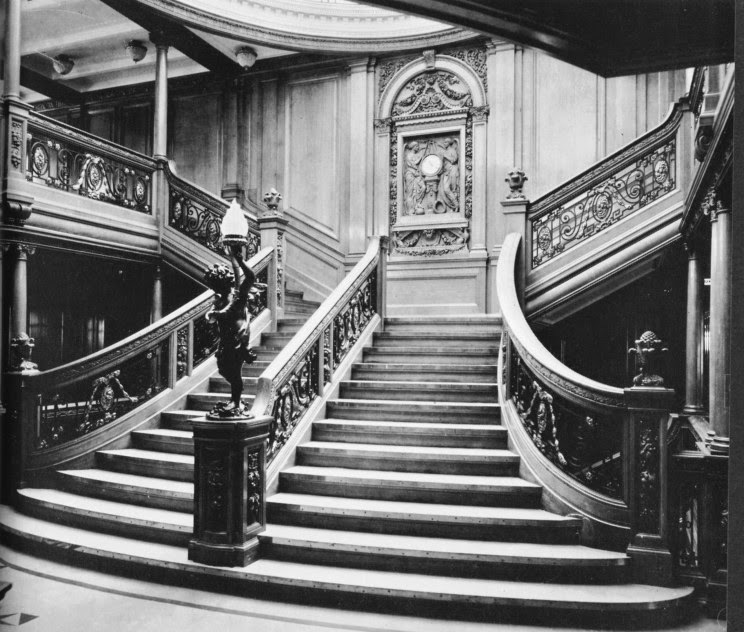 A detailed view of the Grand Staircase. 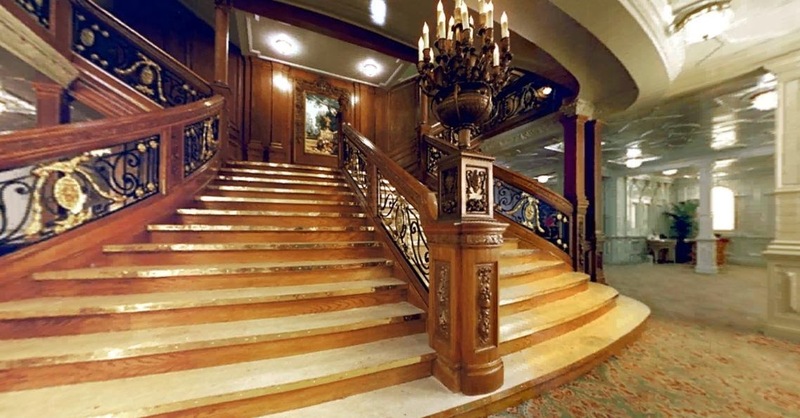 Pictured below are views of the Grand Staircase from James Cameron's film "Titanic".